Register to Play / Sponsor! Help support our sector’s most deserving students. Sign up to play in, or sponsor, the CAPPS 2018 Memorial Scholarship Golf Tournament! All proceeds from the tournament go to the the California Foundation for Private & Postsecondary Schools, 501c3 Corporation established by CAPPS to operate a Scholarship Program for students attending Private Postsecondary Institutions in California. Learn more about the Memorial Scholarships. Registration Fees are 50% Tax Deductible! Sponsorships are 100% Tax Deductible! Contributor - $100: Your company name on signage at the Golf Reception. Gift Bag - $250: Include your booklet or business card in the golf gift bag, your logo printed on the gift bag, and your company logo on signage at the Golf Reception. - SOLD! Thank You Oozle Media! Sponsor-A-Hole - $1000: Your company name and logo will be featured on signage at the golf tournament, on the event website, in the printed Conference Program Guide, and on select holes on the course. This sponsorship includes complimentary tournament registration for one player. Acceptable attire for men: collard shirt, slacks or shorts. Acceptable attire for women: collard shirt, slacks, shorts, or skirt. No denim, t-shirts, tank top, athletic shorts, swim wear or cut-offs will be permitted on the course. Metal spikes are not allowed at the Westin Mission Hills course. 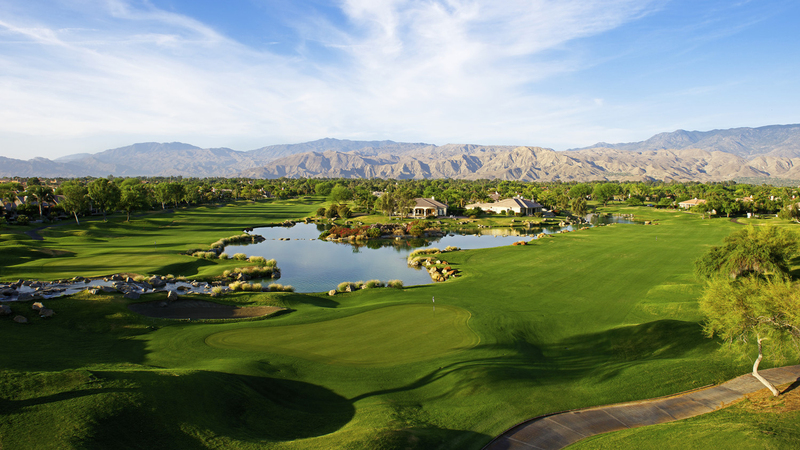 The Hole In One contest will be a 138 yard shot on Hole # 8 at the Westin Mission Hills course. The cash prize for this is $10,000. Golf Clubs can be rented from Callaway Club Rentals on site, the cost is $65.00 per set of clubs and includes 6 golf balls. Left handed clubs are available.